Large plot of agricultural land for sale in the Huerta area of Mojacar, Almeria, Andalusia. There is a warehouse on the land measuring 121m2, a garage measuring 13m2 and stables, plus an enormous water deposit that has an area of 271m2. This plot measures 10,077 m2 (classed as ¨regadio¨) and is located below the picturesque village of Mojacar. It is irrigated by the natural spring in Mojacar village every 48 days. The warehouse contains one large open plan room and a separate bathroom. There are stables on the land, a garage and a large water deposit to store the water from the fuente. Please consult us for building options. This is a very central location, within an 8 minute drive you are on the beach of Mojacar, within less than 10 minutes you can be in the towns of Turre and Garrucha, Vera is a little further and the motorway is 10 minutes away. On the above Google map click on enlarge map and the exact location of the property for sale in Mojacar Costa Almeria Andalusia is marked with the blue pin. 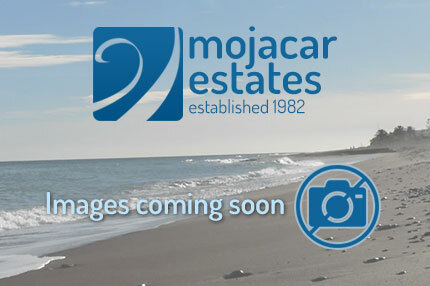 You are only a few minutes drive to the beach or 10 minutes walk to the village of Mojacar. Villages in the neighbourhood are Turre and Garrucha. Busstop for the local bus nearby.